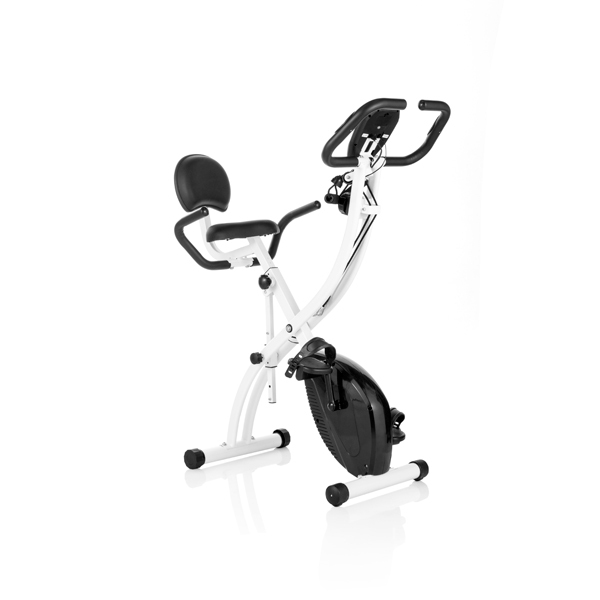 Ride towards your fitness goals with the Total Tone Bike. This is the perfect solution to start exercising without going to the gym. The Total Tone bike comes equipped with resistance bands, which allows to you target your upper body at the same time as getting the usual benefits of a cycling workout. The X-frame means it’s foldable so once you’re finished, it folds away for easy storage and space saving. Weighing only 17kg, it can be easily moved to where you want to keep it. This makes it ideal for your home. 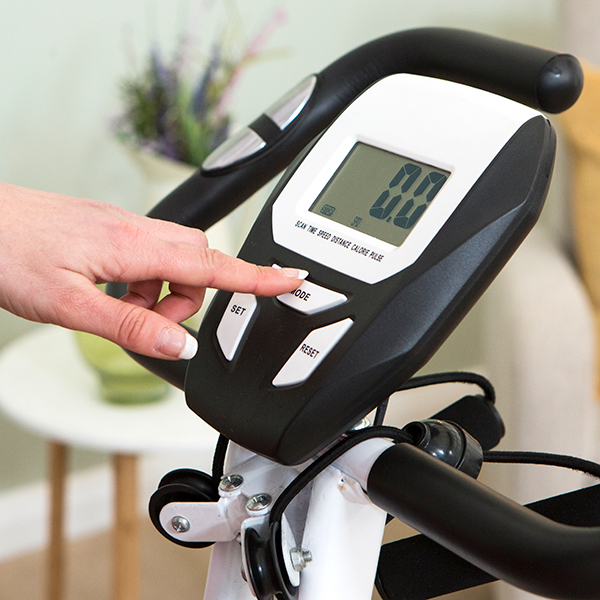 The LCD display will offer a full range of live session feedback including time, distance, speed, calories, scan and your pulse when using the hand pulse sensors on the handlebars. The large saddle is padded for added comfort and you can adjust the height to suit you. The foot straps on the anti-slip pedals are also adjustable to ensure your feet stay strapped in. 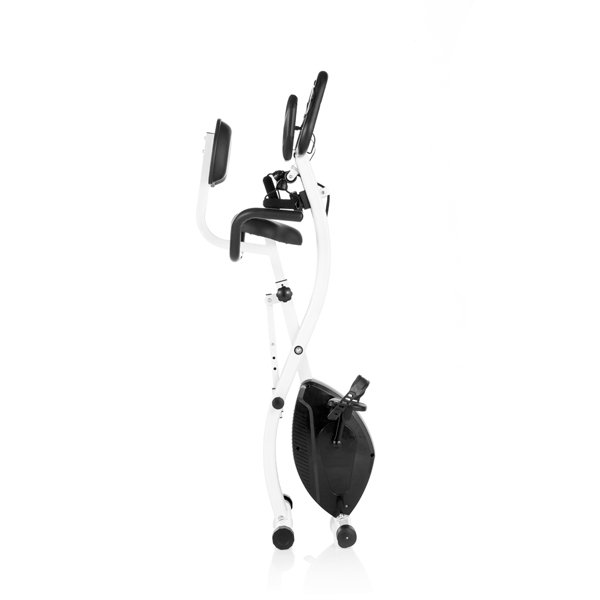 The Total Tone Bike is a simple, effective and low-impact way to get the benefits of a gym workout in the comfort of your own home. Built in hand pulse sensor system in the handlebar to monitor your heart rate. 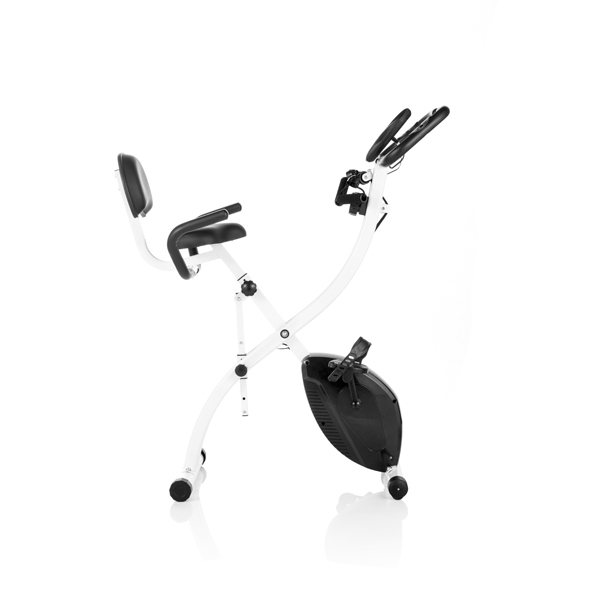 Watch the features video below to see the Total Tone bike in action. Scan (SCAN): Displays each function every 5 seconds. Time (TMR): Shows amount of time of workout in minutes and seconds. Maximum display shows 99 minutes. Speed (SPD): Shows speed you are cycling and is measured in kilometers per hour. Distance (DST): Shows distance covered in kilometers. Calories (CAL): Shows calories burnt while exercising. 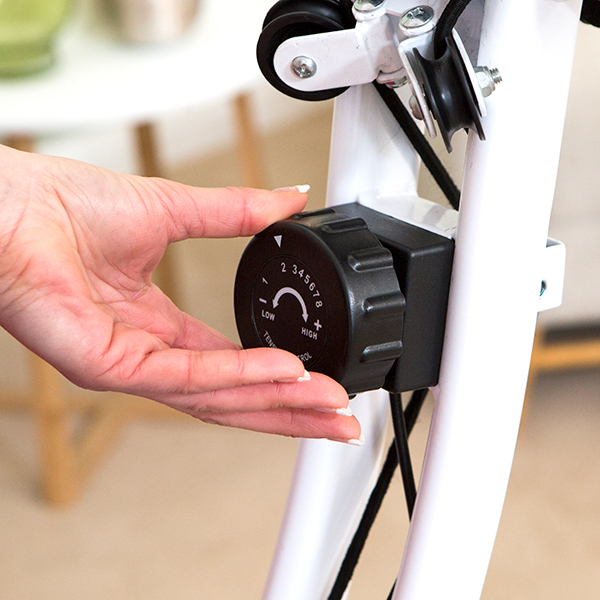 Pulse (PULSE): Shows your heart rate when holding the pulse sensors on the handlebar.